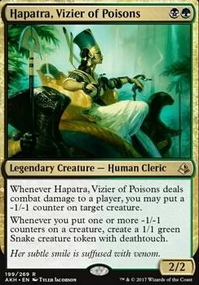 Can Pharika's Chosen and lure kill multiple blockers? Does a creature die if I buff it and then my opponent de-buffs it in response? Hired Poisoner, Tidehollow Strix, and Pharika's Chosen all feel too vanilla for me. Yes, they fit the theme, but they don't have much of an upside besides that. Circuitous Route also feels a bit off, maybe considering cutting it, or replacing it with something else? 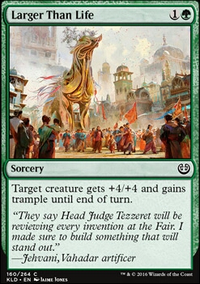 Also, you've probably already considered it, but Atraxa, Praetors' Voice would also be an interesting and on-theme idea for a commander. QuilavaUchiha on Weird Deathtouch Interactions? 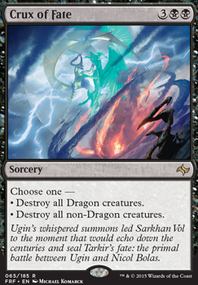 What if I used Eiganjo Castle on a legendary creature I controlled and then, on that turn, used that legendary creature to block a small Deathtouch creature like Pharika's Chosen or Dire Fleet Poisoner? Would Deathtouch trigger? Oh yeah, to finish a previous thought-- Narnam Renegade is better, in my opinion, than Pharika's Chosen because of the extra toughness and the possibility of getting that Revolt +1/+1. Further, the new pirate, Dire Fleet Poisoner, might be better than Ambush Viper for the same reason. Both have flash, but a 2/2 is better than a 2/1. So you don't have any pirates in the deck-- doesn't matter, a 2/2 with flash and deathtouch is still one more toughness than a 2/1 with flash and deathtouch. Okay, so if this pairing, we are doing tempo things again, you're doing proactive hand destruction while I'm doing reactive permission, but we both get crushed pretty hard to if the board gets wiped. 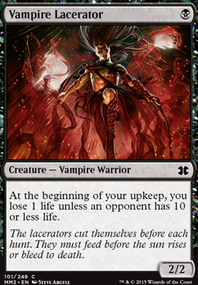 Living Death so you can tutor it for those matchups where we need to be expecting to get wrathed? The way I think about discard is you-choose-what-they-discard is better than discard-at-random which is better than opponent-chooses-what-to-discard. You don't have to force them to discard everything, the right thing is enough. I'd run Cloak of Confusion over Mind Rot to make a one drop with evasion into a hypnotic spectre. Pharika's Chosen -> Soltari Foot Soldier Do you still have this one? evasion better than death touch? 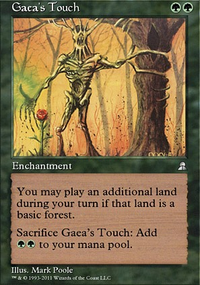 how are you going to use Unearth and Reanimate here? 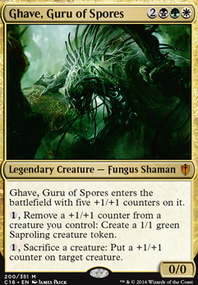 small 1/1 flier fells bad to reanimate with these, maybe consider slotting Fellwar Stone, MindStone in to help out with the mana situation or the other cards named above?